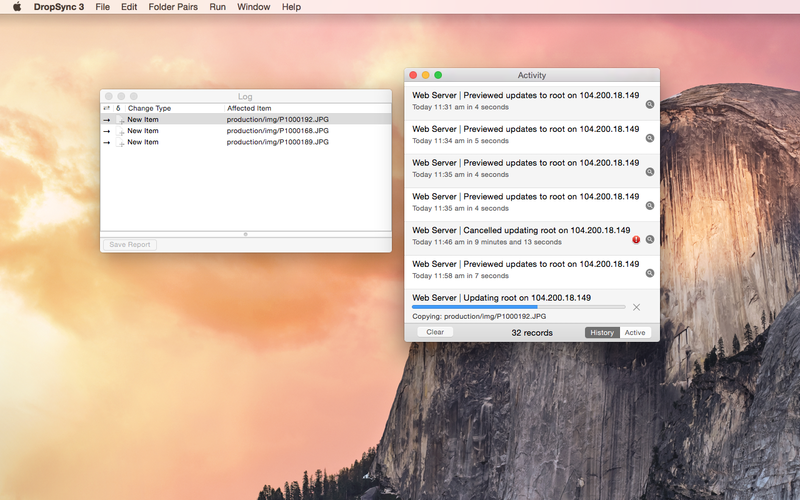 DropSync is a versatile Mac App for working with collections of files in different locations. Whether you're pushing edits to a webserver or backing up a huge photo collection, DropSync helps get the job done with a minimum of fuss. It's smart about what gets copied so it's fast, and it has a powerful file browser that lets you view files on remote computers to customise what's included or excluded. And when you're done customising, it can be setup to watch a folder for changes and sit in the menu-bar out of your way. When designing DropSync 3 we thought long and hard about how the trickiest aspects of DropSync 2 could be made easy. The end result is an interface that should feel natural to newcomers as well as experienced DropSync 2 users. 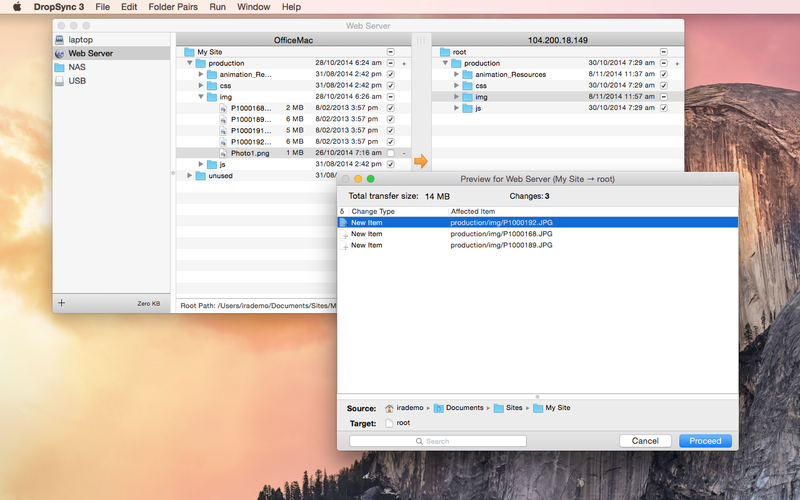 Easily compare folders side by side and include/exclude subfolders with a single click. Whether you're browsing folders on a local drive or a remote computer via SFTP you'll see the same richly informative view of your files. 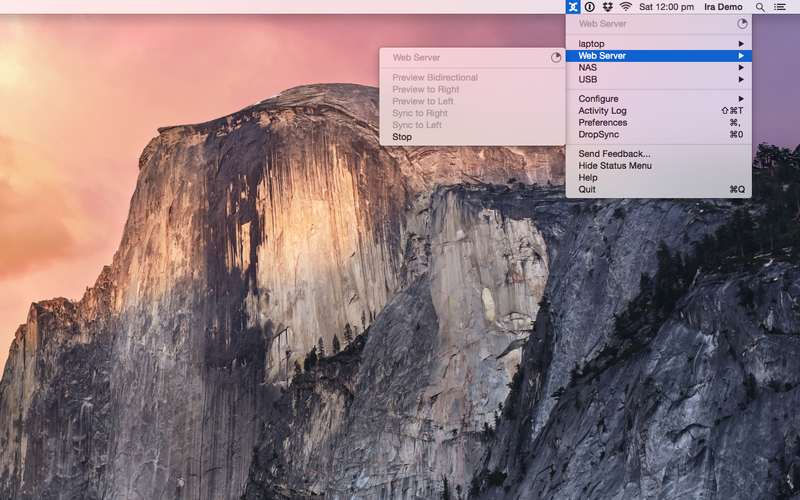 Menu-bar only mode lets you run, configure and monitor syncs without taking space in your dock. No more worrying about root paths just drop a folder and that's it. 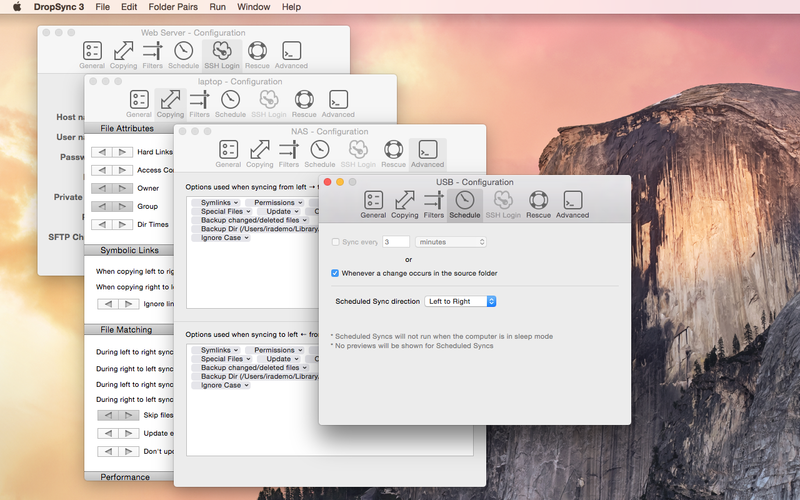 DropSync 3 is fully sandboxed which means it's now fully compliant with the Mac App Store guidelines. We rebuilt large parts of DropSync under the hood using the latest apple technologies to make the app more efficient and clear the way for future improvements ... and we have plenty planned. DropSync 3 now has basic support for Bidirectional Syncs, meaning that it will ensure that the most recently edited version of each file exists on both sides of the transfer.